Hey everybody! Before we dive in today’s song, I have a quick announcement: SongSwap Round 2 has officially begun but it’s not too late to jump in! 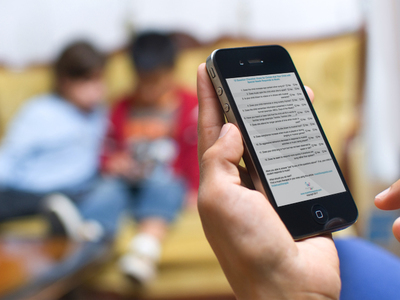 By the 2017 annual IEP meeting when given a picture of a familiar activity from home or school and no more than 2 verbal and/or visual prompts, student will dictate 7 simple sentences about the picture in 4 out of 5 trials over 3 consecutive data collection sessions. And honestly, most goals from IEPs are quite long because 4 criteria must be present: Time Limit, Conditions, Goal/Action, & Criteria for Mastery. Plus every school has a different language or format that they wish for their teachers and staff to use in the IEP document. When I first read this goal, no song in my repertoire immediately stood out as one that I could use so it was time to get creative. That’s When Tell Me More was born. I needed a song that encouraged the student to describe a picture. Many of my students have become skilled in identifying the action from a picture (ex: He is eating.) but that is the only response I receive. 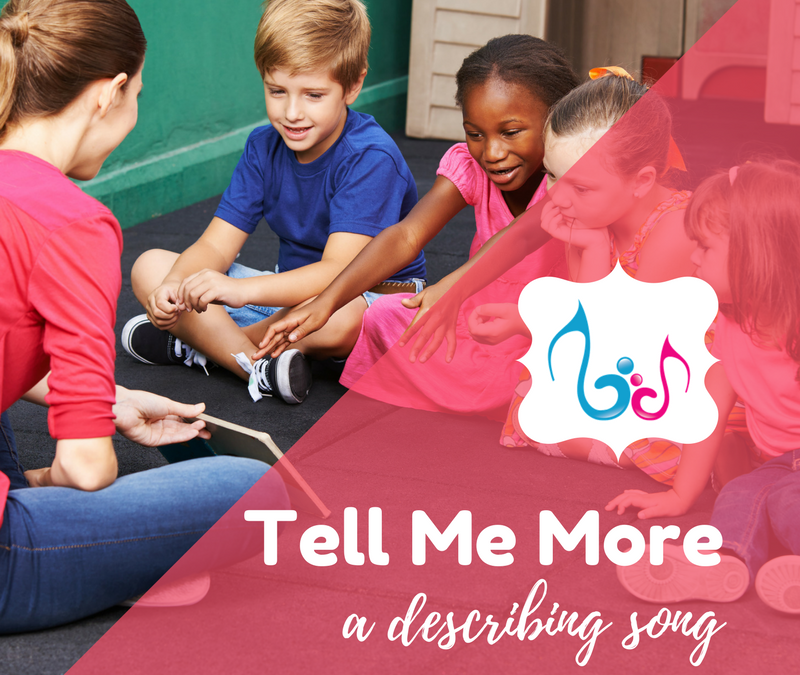 Tell Me More uses the sung repetitive phrase “tell me more, more, more about it.” to encourage the student to come up with something else to say. Picture Scenes. Use pictures that have quite several actions occurring with a background. My favorite resource for pictures is the app Bitsboard. Use WH prompts. If the student is stuck, it might be helpful to go through the who, what, where, when, why, how questions during the activities. Tell me more, more, more about it. What you see, see, see describe it. You can tell me more about it. 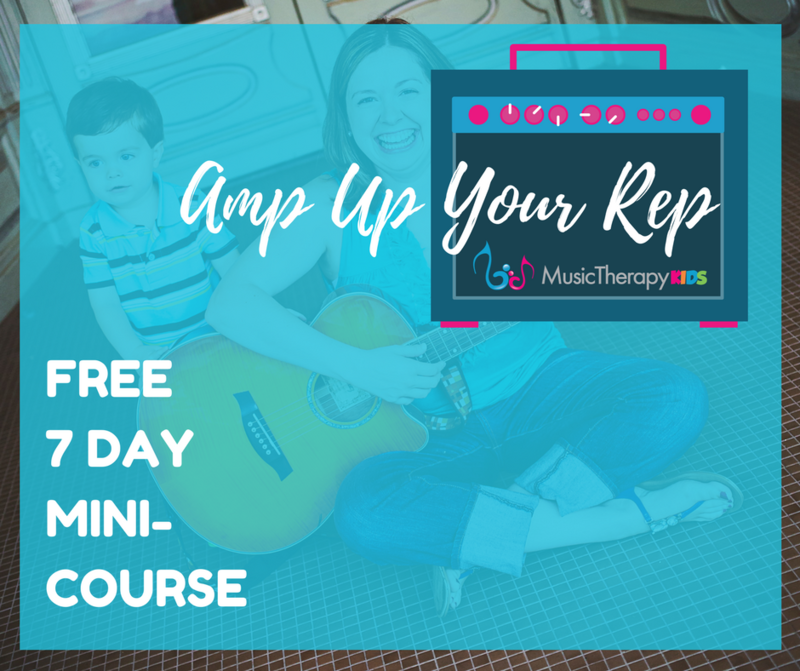 Instrumental chord playing to allow time for the child to describe the picture. 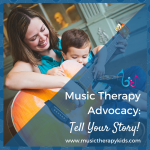 Once I began using this song with one student, I realized that many of my students could benefit from the song. Many have similar goals and describing is a skill that be a foundation for storytelling which can be so difficult because of its abstract nature. Do you address describing or storytelling in your work? What works best for you? 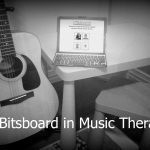 Using Bitsboard in Music Therapy + A Bonus Song! 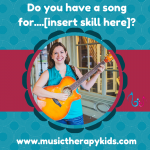 Do you have a song for.......[insert skill here]?